With miles of magnificent beaches, safe warm waters, and enchanting underwater scenery, Goa is blessed with all right potentials to enthrall and excite adventurists, fun lovers, and water sport enthusiasts of every age and skill. Immaculately crafted for six long days, this specialized package from Rayna Tours is second to none for those who wish to engage in a fabulous range of water sports during their Goa vacation. 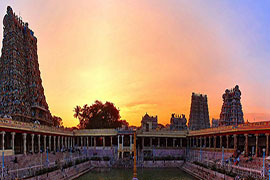 Whether you would like to take an ultra-jovial banana boat ride with your loved ones or enjoy a breathtaking Jet Ski tour or even go underwater with a snorkeling expedition, the perfect itinerary gets you away from all hassles of everyday life while allowing you to create lifelong reminiscences. 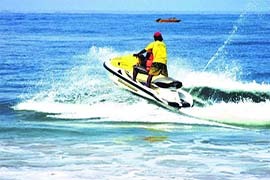 Water activities are not alone the highlights of this holiday; you’ll also get to experience the region’s main attractions, with the sightseeing tours of North Goa and South Goa. The Basilica of Bom Jesus, St. Augustines Tower, Spice Plantations etc, are just a few of the highlights covered in these tours. Besides these inclusions, you’ll also have ample time to tick all your favorites off your Goa bucket list. 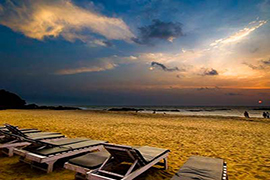 So don’t delay to book your dream Goan vacation with Rayna Tours and see and experience the bountiful of marvels that the place has to offer.